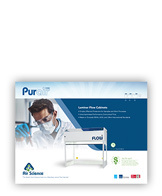 Purair® FLOW series laminar flow cupboards are designed to protect the work surface, products and materials from particulate contamination. 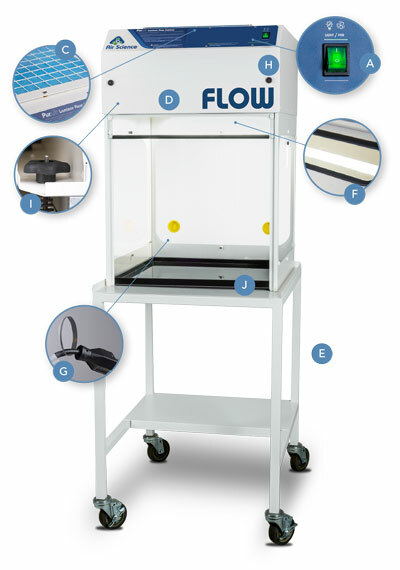 Room air passes through a HEPA filter then uniformly by laminar flow through the cabinet interior to protect the work from unfiltered air. 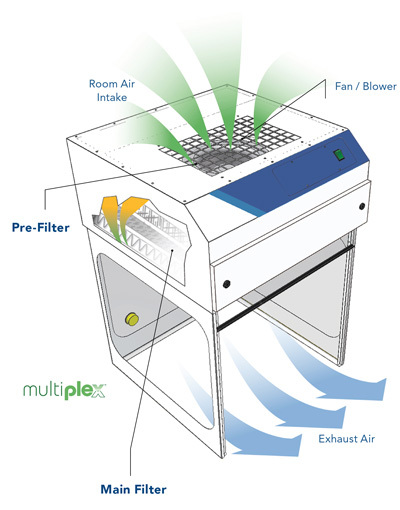 The airflow is oriented to exhaust airborne particulate introduced by the user. Available in 2', 3' and 4' widths. D. Blower Motor: ebm-papst EC blower. ordering. Available in 120V 60Hz or 220V 50Hz models. Steel Support Frame: The chemical resistant epoxy coated steel frame adds mechanical strength. 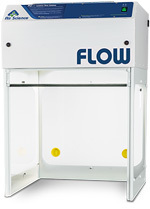 Optional all polypropylene construction is available if desired. 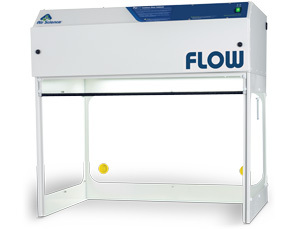 The pre-filter can be changed while the unit is operating to prevent operator exposure to chemical vapors.